Ground Peeled Tomatoes in Puree with dry Basil (also known as Coarse Ground Tomatoes in Puree with Dehydrated Basil) shall be prepared from round or pear tomatoes that have been washed, hand sorted for quality and peeled prior to grinding. Salt and fresh leaf basil are added for flavor. 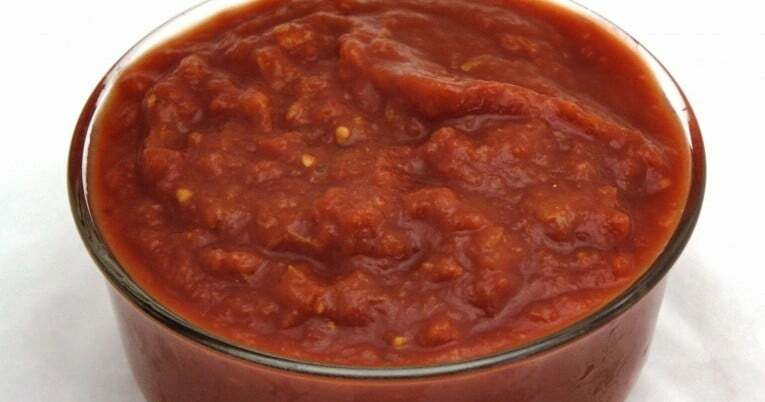 A full-bodied puree made from fresh tomatoes is used as a packing medium. The sealed containers are cooked to ensure commercial sterility then cooled prior to stacking. The finished item has an irregular appearance characterized by small pieces of ground tomatoes and whole basil leaves in heavy puree. It has a bright red color and is practically free from extraneous plant material and objectionable defects. Tomatoes, tomato puree, salt, dehydrated basil, citric acid.